Artists performing at the 2019 Ballard Jazz Festival coming soon! Heralded as one of the most important saxophonists of our time, musician, composer and producer Chico Freeman marked his return to the United States in May 2016, after more than a decade living and working in Europe. As part of the Freeman family legacy of Chicago; his father, legendary NEA Jazz Master saxophonist Von Freeman; his uncles, guitarist George Freeman; and drummer Bruz Freeman, Chico amassed a diverse résumé of performing R&B to blues, hard bop to avant-garde. His collegiate studies in Advanced Composition and Theory at Northwestern University led him to teach composition at the AACM (Association for the Advancement of Creative Musicians) Music School, and while attaining his Masters in Composition and Theory at Governor State University, he studied composition with NEA Jazz Master Muhal Richard Abrams. 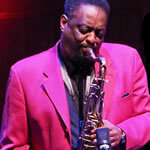 Chico Freeman's career has enjoyed non-stop growth. He has more than 30 albums as a leader/composer and is a 2-time GRAMMY® nominee. His writing for film, television and theatre has won him awards in Austria, Germany, Canada and Italy. In 2013, he was presented with the Bicentennial Exhibition Award, History Of Black Music in Los Angeles. While he was dubbed a "young lion" three decades ago for his participation on the 1982 recording with other stars-to-be Wynton Marsalis, Kevin Eubanks, Paquito D'Rivera, Bobby McFerrin and Anthony Davis, Freeman now merits being called a "master on his instrument." Freeman has perfected an immediately recognizable approach to music and composition, blending what he has experienced from his past and providing fluidity into a future of infinite musical possibilities. 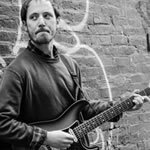 Born in Walla Walla and raised in Seattle, Brad Shepik began playing guitar at 10, later studying with Al Galante, Dave Petersen, Ralph Towner and John Abercrombie. He earned a B.F.A from Cornish College of the Arts and a Masters in Jazz Performance/Composition from New York University. Moving to New York in 1990, he ended up being a member of Dave Douglas' Tiny Bell Trio, Matt Darriau's Paradox Trio, Pachora ith Chris Speed, Jim Black and Skuli Sverrisson, and BABKAS. 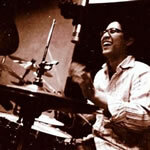 Shepik toured Europe and recorded two albums with Paul Motian's Electric Bebop Band over 5 years. He also deepened his interest in world music, performing and recording with Yuri Yunakov's Bulgarian Wedding Band and Simon Shaheen's Quantara. Shepik's first two records as a leader explored music of the Balkans and featured Shepik on Turkish saz and Bulgarian tambura as well as electric and acoustic guitars. "The Loan" and "The Well" received critical praise for their marriage of world music styles and jazz. He has recorded 9 albums with his groups and they've performed at major festivals and clubs across Europe and North America. 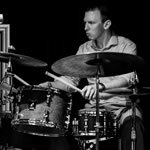 As a sideman, Brad appears on more than 70 recordings and has performed with Charlie Haden's Liberation Music Orchestra, Carla Bley's Escalator Over the Hill, Bob Brookmeyer, and was a a member of Joey Baron's Killer Joey from 2000-2009. In 2016 the Brad Shepik Organ Trio with Gary Versace and Mark Ferber released their debut recording "Top Down" on JLC Records. Shepik also leads Rambler- a quartet with Chris Cheek, Ben Monder and Diego Voglino. His newest project is the Balkan Peppers, a group that he co-leads with Macedonian drummer Seido Salifoski, a longtime collaborator in the Paradox Trio and The Commuters. 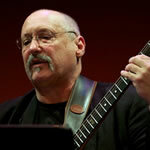 Dan Balmer has long been considered one of the finest guitarists, composers, and educators in the Northwest. In 2009 Dan became one of only five Oregonians (and the youngest) to be honored with membership in both The Oregon Music Hall of Fame and the Jazz Society of Oregon Hall of Fame. He was hailed by the Los Angeles Times as, "the model of what a contemporary guitarist should be." Dan has appeared on over 80 CDs including eight of his own which have received critical acclaim and international airplay. Dan's music has been featured in movies and television shows both in the U.S. and overseas. He has led his own groups since the ‘80s and has had long standing weekly gigs around Portland with drummer Mel Brown, Tom Grant, David Friesen, and others. 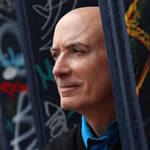 His most recent CD, "Thanksgiving", features New York heavyweights Gary Versace and Matt Wilson in a free spirited romp through several of Dan's compositions. 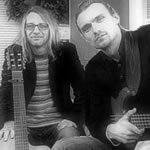 His collaborative group, "Go By Train," with Clay Giberson and Micah Kassell, is currently working on their third CD following up two earlier efforts on the "Alternative Jazz" label. Other recent recordings include "Some Other Time" with Diane Schuur, "5 and 3" with David Friesen, "Smokin' at Jimmy's" with the Mel Brown B-3 organ group, and "Live, An Evening with the Mel Brown Quartet." During the 1980's and 90's Dan enjoyed a highly successful ten year musical partnership with pianist Tom Grant that produced several chart topping recordings, national tours, and huge popularity around the Northwest. From 2005-2009 Dan toured and recorded with Diane Schuur playing in over 15 countries and 60 cities. After 15 years of performing together, the rapport between the legendary Portland guitarist John Stowell, and Seattlites, bassist Jeff Johnson and drummer John Bishop, has reached such a level of intimacy and connectedness, they transcend the traditional concept of a "guitar trio." Greta Matassa is one of the most talented singers working in jazz today. She has been voted "Northwest Vocalist of the Year" by Earshot Jazz seven times in 15 years and honored with a lifetime acheivment award and inducted into the Earshot Jazz Hall of Fame in 2014. 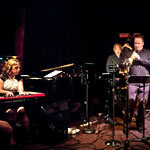 Greta has been a mainstay on Seattle's Jazz stages for many years and with her recent successful dates at New York's Dizzy's Club at Lincoln Center, tours of Russia, Singapore and Hawaii and Japan, Greta's sound is now reaching new audiences. Greta has released seven CD's on the respected jazz label Origin Records and a DVD live concert with guitarist Mimi Fox. Her latest CD, I Wanna be Loved (Resonance Records), was critically acclaimed. Pianist Bill Anchell takes a bandleader role at the Ballard Jazz Walk after backing up nearly every local legend over the past decade. Anschell presents music from Rumbler, his new release on Origin Records and joined by the same stellar cast of musicians featured on the album. Mostly written on the road in planes and hotel rooms, Rumbler doubles as a musical travelogue, especially vivid in its reflection of experiences from his touring in South America over the last several years. Julian Priester grew up in Chicago, where his skills were apparent early and saw him playing with the likes of Muddy Waters, Bo Diddley, and Sonny Stitt. He joined the renowned Sun Ra Arkestra while still in his teens, and then from 1956 toured with Lionel Hampton and Dinah Washington. In New York, he worked in Max Roach’s band, and became a first-call trombone player for session work with many jazz greats, among them John Coltrane (including on the Africa/Brass sessions), Stanley Turrentine, Blue Mitchell, Freddie Hubbard, McCoy Tyner, Art Blakey, and Abbey Lincoln. Starting in the late 1960s, he toured with Duke Ellington and Herbie Hancock, and later played with Sun Ra again, as well as Dave Holland, Charlie Haden’s Liberation Music Orchestra, and Lester Bowie’s New York Organ Ensemble. Marina Albero has played with some of the most important artists of early, amenco and latin music including l'Arpeggiata, Barbarito Torres (Buenavista Social Club), Glen Velez, Pepe Habichuela, Carlos Saura, & Sara Flores. She plays hammered dulcimer, piano & vibes and has studied music in Spain & Cuba. Born in Barcelona, Marina Albero grew up playing traditional music with her family Grallers band "Stampede," which took them on tours to Japan and the U.S. in the ‘90s. At the age of eight, she studied piano & theory and later, drums and jazz piano while still working with the family project, She studied at the Conservatory Isaac Albéniz and the Conservatorio Municipal de Barcelona. In 1995, her family moved to Cuba where she studied at the Insti- tuto Superior de Arte, and she played with the Cuban Psalterium Rennaissance-style group "Ars Longa." Albero moved back to Barcelona in 1997 and continues to perform and teach throughout the world. 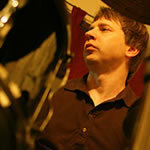 Drummer Gary Hobbs is a native of the Pacific Northwest and lives in Vancouver, WA. He has played professionally for over 4 decades and appears on over 60 recordings. Gary played with The Stan Kenton Orchestra from 1975 through 1977. Through the years Gary has played with Randy Brecker, Bud Shank, George Cables, Ken Peplowski, Pete Christlieb, Greta Matassa, Anita O'Day, Dan Siegel, Glen Moore, The New York Voices, Eddie Harris and many more. Randy Brecker, Bill Mays, Kurt Elling, Dave Frishberg, David Freisen, Bobby Shew, Bobby Watson, Bob Florence, Carl Saunders, The Woody Herman Orchestra,Terry Gibbs, Jaquie Naylor, Jim Widner Big Band, Stan Kenton Alumni Big Band and Tom Grant are just a few of the artists that Gary has recently performed with. Carnegie Hall, Royal Festival Hall, Tivoli Garden, Kennedy Center and Wolf Trap are among the venues Gary has played along with scores of festivals and clubs all over the world. 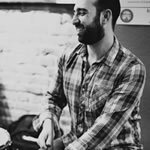 Gary is very active in Jazz Education teaching at The University Of Oregon and traveling all over the US doing clinics, concerts and jazz camps with the help of Crescent Cymbal Company and Yamaha Drum Company. 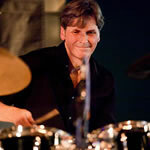 Greg Williamson, drummer, percussionist and composer, has toured as a member of the swinging big bands of Woody Herman, Glenn Miller and Harry James. He has appeared on over 30 CDs, including the recent "JazzIn It" by singer Dee Daniels, which charted #1 across Canada. He travelled several years with Steve Allen and Tonight Show Live with legendary pianist Paul Smith. He has performed with Seattle's own and widely renown vocalist Ernestine Anderson since 1991, acting in later years as her musical director. He has led his own groups ranging from Greg Williamson Quartet to the Pony Boy All-Star Big Band, and recently formed an organ-quartet "The Young Lizards" bringing jazz sounds to the alt-club scene. He also focuses on large scale multi-media projects, including the award winning "Conversations & Deconstructions" the "1909 AYP - Jazz Music For Seattle's World's Fair." Greg's early experiences came from hanging out with the cats on the scene - legendary jazzers like Buddy Catlett, Ray Brown, Red Kelly, Bill Ramsay and Jay Thomas. In 1994 he founded Pony Boy Records which has produced 40 releases, the annual Pony Boy Records Jazz Picnic, and the weekly series Jazz & Sushi. He is the musical director Pony Boy Records is for Boxley's Jazz Club in North Bend, WA, which features music nightly, and hopes to continue to foster jazz music, and hang out with the cats on the scene. Corey Christiansen has a number of publications with Mel Bay and has conducted countless guitar clinics and concerts across the country and beyond including Europe, South Africa and Australia. 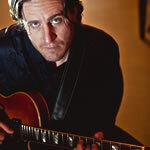 He has also performed at many notable festivals and venues including John Pisano's Guitar Night in Los Angeles, the Smithsonian Institution in Washington, D.C., the Umbria Jazz Festival in Perugia, Italy, the Lionel Hampton Jazz Festival, the Clearwater Jazz Festival, the Daytona Beach Jazz Festival, the Classic American Guitar Show, and the St. Louis Jazz Festival. He has also performed and/or recorded with many outstanding jazz artists including Jimmy Bruno, John Pisano, James Moody, Joe Negri, Willie Akins, Chuck Redd, Sid Jacobs, Jack Wilkins, Christian McBride, George Duke, Terri Lyne Carrington, Danny Gottlieb, and many, many others. Corey's latest recording for Origin Records, Lone Prairie, spent many weeks on the Jazz airplay charts in 2013 and is available on CD and vinyl. His new CD, Factory Girl, will be available at the Ballard Jazz Festival. 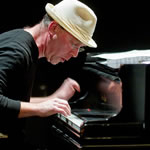 One of the music world's most creative forces, composer/ pianist/band leader Wayne Horvitz added a new dimension and vitality to the Seattle jazz scene when he relocated from New York in the ‘90s, and he remains a constant pres- ence in Seattle's cultural life. Be- sides the many genre-bending groups he has led throughout the years, he is perhaps most fa- mous for being the keyboard- ist of the John Zorn's Naked City. He has also produced records for the World Saxo- phone Quartet, Bill Frisell, Ed- die Palmieri, and many others. Over the course of his eminent career, Michael has written, produced and played on albums that have sold millions of copies worldwide. As the original drummer for Santana, Michael – at age nineteen – was the youngest performer at Woodstock. 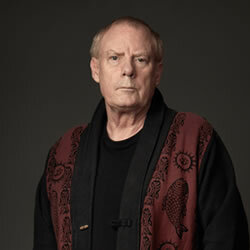 Michael's recording credits include the masters of popular and avant-garde music – Mick Jagger and the Rolling Stones, George Harrison, Pete Townsend, Steve Winwood, Police guitarist Andy Summers, film composer Mark Isham, and such musical luminaries as John Mclaughlin, Stomu Yamash'ta, Klaus Schulze, Freddie Hubbard, Jaco Pastorius, Wayne Horvitz, Bill Frisell, Zakir Hussain, Airto Moriera and Amon Tobin. Michael continues to strive for innovative approaches to percussion-based music, and records with both renowned and emerging artists (Skerik, Jack DeJohnette, Zakir Hussain, Reggie Watts), in addition to his own band, Spellbinder. He was inducted into the Rock and Roll Hall of Fame in 1998 and in 2005, Michael received the Guitar Center's first annual "Lifetime Achievement Award." 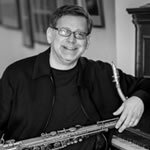 Saxophonist Mark Taylor launches a new ensemble with the ebullient pianist and Cornish alumna and adjunct instructor Dawn Clement. The two award-winning Pacific Northwest artists bring listeners a lineup of new work they are composing together. Clement began playing piano when she was ten years old, with early lessons with ragtime pianist and church organist Keith Taylor. Eventually settling in Vancouver, Wash., Clement joined the high school jazz band and started sitting in at Portland-area jam sessions. 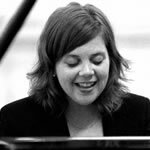 Her career today includes playing at the Mary Lou Williams Piano Competition at Washington DC’s Kennedy Center and Paris’ International Martial Solal Jazz Piano Competition, teaching at Cornish and at Port Townsend’s Centrum Jazz Workshop, and releasing five CDs. Clement is currently working on her Masters of Composition at the Vermont College of Fine Arts. 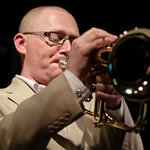 Seattleite Mark Taylor is a creative improviser and impeccable ensemble player. He performs and records extensively with Matt Jorgensen +451, Jim Knapp Orchestra, Tom Varner, Thomas Marriott, Wayne Horvitz, Seattle Repertory Jazz Orchestra, and the Randy Halberstadt Quintet. Taylor has two acclaimed Origin Records releases: After Hours (2002) and Spectre (2009). He teaches privately and holds a BM from the University of Washington (1994), and MM from the Manhattan School of Music (2000). 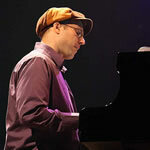 A recent transplant from New York City, Portland's George Colligan is a pianist, organist, drummer, trumpeter, teacher,and bandleader, who is one of the most original and compelling jazz artists of his generation. An award-winning composer and player, Colligan is highly in demand as a sideman, regularly working with players such as Lenny White, Cassandra Wilson, Don Byron, Buster Williams, and Lonnie Plaxico. 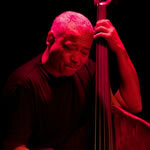 He is currently a member of legendary drummer Jack DeJohnette's New Quintet. 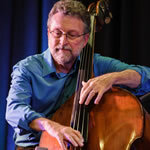 He has released 25 recordings full of his intelligent writing and impressive technique including his latest, "Endless Mysteries," just released in November on Origin and featuring DeJohnette and bassist Larry Grenedier. His performances include dazzling technique as well as mature restraint. 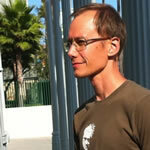 Colligan is currently an Assistant Professor at Portland State University. Drummer Gregg Keplinger enjoys legendary status among aficionados of Northwest music for his powerful, individualistic percussion style. 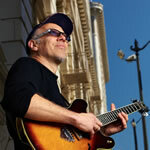 As a performer Tarik Abouzied has played and traveled with a vast array of incredible musicians. His groups have collectively produced six original albums: two from Pocket Change, an instrumental funk septet in the vein of Tower of Power, three from Hardcoretet, a more modern instrumental jazz quartet, and one from McTuff, an incredible funk/jazz Hammond organ trio. His current project, Happy Orchestra, was awarded 4Culture's 2015 Arts Project Grant and is in the process of recording its first full-length album. Aside from these performing groups Tarik has played with local and national greats including Jeff Coffin (Dave Matthews Band), Skerik, Brian Haas, Jessica Lurie, Nigel Hall, Mike Stern, and many others. Two-time winner of Earshot Golden Ear Awards "Northwest Vocalist of the Year," Gail's rich, warm vocals and understated phrasing have been described as "deliciously soulful" by Cadence Magazine. 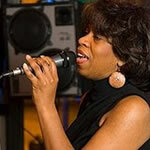 Gail's two releases, "May I Come In?," (OA2), and "Here in the Moment," (OA2) were widely and warmly embraced by radio and jazz fans around the world, with "Here..." ending up being the most played, new female vocal CD on American jazz radio in 2010. As artist-in-residence at the Amersfoort Jazz Festival in the Netherlands in 2006, she was featured artist with the New Manhattan Big Band on the mainstage. Included on that tour was a stop in Kobe, Japan to perform as the winner of the Seattle-Kobe Female Jazz Vocalist Competition. 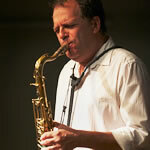 Steve Griggs is a Seattle saxophonist and composer who moved here from New York in 1993. His current work focuses on site-specific performances that combine history and improvisation. This approach has garnered over $80,000 in grant funding from regional and national organizations plus two awards from ASCAP/Chamber Music America for Adventurous Programming of Contemporary Music. His latest recording was Panama Hotel Jazz: Music Made from Memories and will release A Cup of Joe Brazil on his Hip City Music label later this year. Griggs' previous work includes a residency at branches of the Seattle Public Library and site-specific programs at the Panama Hotel, Duwamish Longhouse and Cultural Center, and Seattle Asian Art Museum, recordings with legendary drummer Elvin Jones, sold-out performances of music inspired by Heitor Villa-Lobos, and featured saxophone solos on the XBOX Halo 3: ODST videogame soundtrack. 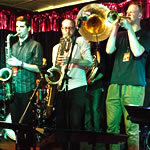 Griggs is also a music journalist who contributes to Seattle Weekly, Seattle Times, and Earshot Jazz. He wrote the liner notes to Jim Knapp's Scrape and is working on a biography of saxophonist Joe Brazil. More information is available at stevegriggsmusic.com. Jerry Hahn is one of the most celebrated jazz guitarists of his generation. Raised in Wichita, Jerry moved to San Francisco at 21 where he joined the John Handy Quintet, recording two albums for Columbia Records including the acclaimed "Live at Monterey." In 1967 he recorded his first solo album, "Jerry Hahn & His Quintet," with Jack DeJohnette on drums and soon after joined the Gary Burton Quartet with Roy Haynes and Steve Swallow, recording three albums and touring the world. In 1970, he signed a deal with Columbia Records for his newly formed "Jerry Hahn Brotherhood." In his book "The Jazz Book," Joachim Berendt noted the Brotherhood as being one of the "trailblazers of rock-jazz integration." Other highlights include recording Paul Simon's first solo album, "Paul Simon," and touring and recording with drummer Ginger Baker's band. Jerry received his Doctorate from Berean Christian College and developed jazz guitar programs while teaching at Wichita State University, Colorado Institute of the Arts and Portland State University. His formidable book and CD "Complete Jerry Hahn Method for Jazz Guitar" for Mel Bay Publications has been in publication since 1986. 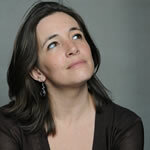 The musical delicacy and vivaciousness of pianist/composer Dawn Clement has been heard in some of the world's most premier venues including Carnegie Hall, Le Conservatoire Superieur in Paris, and Seattle's Benaroya Hall, as well as numerous clubs (including Sweet Rhythm and Tonic), art museums, and theaters. 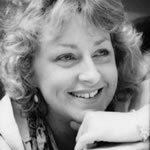 Dawn has also toured the U.S. with a number of projects including the Sabella Consort (2000-2003), the Rubin/Clement Piano Dialogues (2000-2002), for which she received a King County Arts Commission Grant (2002), and Jane Ira Bloom. Dawn's sound has been heard extensively on the radio. She has had interviews and live performances on Seattle's KEXP (Sonarchy Radio), KBCS (The Don and Bud Show) and KUOW (The Beat), and her music regularly receives radio play around the world. She has also been featured in articles for 5/4 magazine, All About Jazz (NY and Italy), Earshot Jazz (Seattle), Jazz Times, and Hot House. Dawn is currently on the faculty of Cornish College of the Arts and maintains a rigorous performance schedule. A versatile guitar player with virtuosic technique, Cole Schuster makes his debut performance at the Guitar Summit. 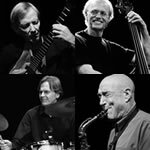 Schuster has shared the stage with jazz greats including Wycliffe Gordon, the Clayton Brothers, Jeff Hamilton, and recently appeared at Tula’s Jazz Club as one of the guest guitarists called to fill-in for Peter Bernstein. 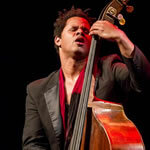 An alum of the Berklee School of Music, he can be seen around the Northwest as a co-leader of The 200 Trio. 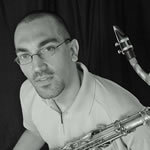 Tenor Saxophonist Lucas Pino works frequently as a sideman for artists including Gideon van Gelder, Richard Boukas, David Lopato, Bryan Carter, Rafal Sarnecki, Nick Finzer, and Jeremy Siskind. His past performance experience also includes Dave Brubeck, Curtis Fuller, Benny Golson, Jimmy Heath, Christian McBride, Carl Allen, Benny Green and David Sanborn. Lucas has traveled to play in Australia, Poland, Spain, Britain, The Netherlands, Brazil, Costa Rica, as well as throughout the United States and Canada. He has appeared at venues such as the Blue Note, Dizzy's, The Jazz Standard, Yoshi's, The Jazz Kitchen, The Rex, and Chicago Symphony Hall. As a leader, he has maintained a monthly residency at Smalls with the No Net Nonet since March 2013. Nominated for a GRAMMY Award for his production work on The PapaHugs Band release "Are We There Yet?," guitarist Tim Volpicella has been active as a sound designer and engineer for many years through his company, Harmonic Fox Sound Design. As a guitarist, Tim attended the Berklee School of Music where he studied with John Abercrombie, John Scofield, David Liebman and John Stowell, and has performed around the United States, Europe, Japan and South America. His resume includes appearances at Earshot Jazz, Monterey Jazz Festival, San Francisco Jazz Festival, San Jose Jazz Festival and the Lennie Tristano Jazz Festival (Naples, Italy). Tim has performed with artists including Russell Ferrante, Chet Baker, Hafez Modirzadeh and John Carlos Perea, and has appeared on numerous studio recordings. 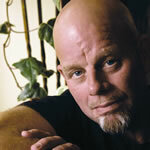 Tim's original compositions can be heard on his own CDs, "Many Places" and "Unspoken Words." As Music Coordinator for San Jose Jazz (1998-2002), Tim brought music education to local children through the Community Youth Outreach Program and has taught guitar workshops at the Stanford Jazz Workshop and Jazzschool. He has been a frequent clinician at colleges in the western US. A native of the Pacific Northwest, saxophonist Kareem Kandi is a performer, composer, and educator, who is in high demand for his talents both on and off the stage. Growing up in the northwest with its vibrant music scene allowed Kandi the opportunity to study with, listen to and perform with world class jazz artists residing in the area. Artists such as Tracy Knoop, Jay Thomas, Don Lanphere, Bill Ramsay, Hadley Caliman, Julian Priester and many others had a large impact on Kareem early in his musical education. This direction and guidance continues to inspire and lead Kandi as he continues his lifelong passion undertaking a career as a professional musician. Today, as a performing artist he spends most of his time leading his group The Kareem Kandi Band for which he composes and arranges most of the music. The band is constantly on the move as a sought after performing group and spends most of its time performing in and around the Pacific Northwest. When not leading his own group Kareem can be seen and heard performing as a sideman with many other top notch musical acts and projects, most notably The Paperboys from Vancouver BC. Ted Brancato is a musician with four decades of experience in the music business. Since his early days, growing up in Seattle, WA, Ted has been actively performing, composing, arranging and recording music. Ted earned his bachelors degree in music from the University of Washington. While in Seattle Ted quickly became one of the most "in demand" pianists, both in the recording studio and in the jazz clubs. Ted was called on to accompany many jazz headliners that came through town--jazz greats such as Milt Jackson, Eddie Jefferson, Ernie Watts and Ernestine Anderson. In the almost 30 years that Ted has worked in and around NYC, he has honed his skills as an arranger, composer, performer, conductor, and accompanist. He played on recordings by Houston Person and a Roger Kellaway recording that was produced by Creed Taylor and recorded by Rudy Van Gelder in his historic Englewood, NJ studio. He served as musical director for jazz vocalist Jeanie Bryson--touring the world with her and arranging and playing on three of her albums. Alongside Ms. Bryson, Ted worked closely with many great jazz players such as Christian McBride, Jerry Niewood, Pacquito D'Rivera and trumpeters Claudio Roditi and Wallace Roney. While Ms. Bryson's musical director, Ted performed in Brazil, Japan, Greece, the Netherlands, and toured the United States. Other touring experience includes two USIA sponsored trips to West Africa with jazz vocalist Dee Daniels. Ted also kept his Seattle connection alive over the years, arranging and playing on two recordings by vocalist Kelly Harland, and collaborating with singer/songwriter Mark Pearson (longtime member of the Brothers Four) on numerous recording projects and live concert tours in the Pacific Northwest. For the past 11 years, Ted has utilized his arranging and conducting skills as musical director of a dinner theater in New Jersey. with New York pianist Aaron Parks. 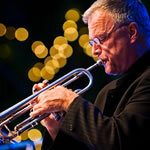 Seattle jazz icon Jay Thomas is a versatile multi-instrumentalist (trumpet, flugelhorn, alto, tenor, soprano and flutes) whose music leans to earthy and lyrical; the blues and swing always in evidence. With the Cantaloupes, Jay goes back to the sixties and the neo-boogaloo / hard bop feel of Horace Silver, Herbie Hancock, Cannonball Adderly, and Ramsay Lewis. The band connects with people on a visceral level and encourages people to MOVE. 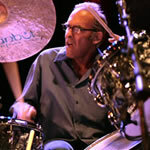 One of the primary voices in Northwest Jazz for over 30 years, drummer John Bishop has performed in concerts and clubs with Bobby McFerrin, Lee Konitz, Slide Hampton, Benny Golson, George Cables, Kenny Werner, Sonny Fortune, Bobby Hutcherson, Dr. Lonnie Smith, Tom Harrell, Herb Ellis, Buddy DeFranco, Larry Coryell, Joanne Brackeen, Jon Faddis, Charles McPherson, Carla Bley, Steve Swallow, Kenny Rankin, Joe Locke, Hal Galper, Jessica Williams, and countless others. Along with numerous jingle, film-score, demo & multi-media recording sessions, he's appeared on more than 100 albums including sessions involving Rudy Van Gelder & Teo Macero, and a Grammy-nominated recording on RCA with singer Mark Murphy. 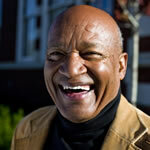 Bishop was inducted into the Seattle Jazz Hall of Fame in 2008. 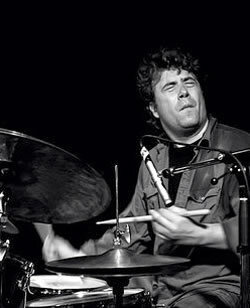 Matt Jorgensen is a drummer, producer, composer and arranger who has built an impressive resume as one of the most in-demand jazz musicians on the west coast. He has released five CDs under his own name and is also a co-leader of the group Human Spirit. 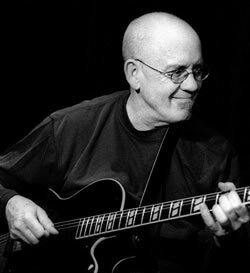 As a sideman he is frequently called on by an impressive list of musicians including Dr. Lonnie Smith, Eric Alexander, Bill Mays, Stanley Jordan, Corey Christiansen, Thomas Marriott, Ray Vega, Peter Bernstein, Vincent Herring, Bobby Shew, Mike LeDonne, George Colligan, Reggie Workman, Tim Ries, Chuck Leavell and others. Born In Minneapolis, Jeff Johnson ("Free" to some of his colleagues) left at age 20, spending time in Philadelphia and New York, and has worked with a veritable who's who of great jazz musicians such as Philly Joe Jones, Charlie Rouse, Barney Kessel, Chet Baker, Lew Tabackin, Eddie Daniels, Mark Murphy, Joanne Brackeen, Julian Priester, Jay Clayton, Marlena Shaw, Billy Hart, Annie Ross, George Cables, Bud Shank, Claudio Roditti, Ernestine Anderson, and Michael Wolfe, to name just a few. 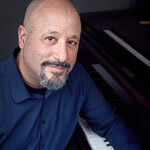 Jeff met Jessica Williams in Seattle in 1991 and Hal Galper at the Port Townsend Festival in 1993, great pianists with whom he has had ongoing musical relationships. He is one of the most on-call working musicians in the competitive Seattle musical arena, and his contribution to jazz is substantial and continuing. 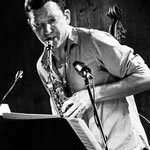 Seattle-based alto saxophonist, composer, and winner of the 2014 Earshot Northwest Emerging Artist of the Year, Jacob Zimmerman is an extremely versatile and integral part of the local creative-music community. Jacob studied music at the internationally renowned Garfield High School, the New England Conservatory of Music in Boston, and Mills College in Oakland. His teachers have included Roscoe Mitchell, Jerry Bergonzi, Joe Morris and Anthony Coleman. 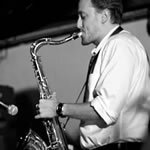 The Jacob Zimmerman Quintet will be per- forming classic bebop music from the 40s and 50s while featuring some of Seattle’s best up- and-coming jazz talent. 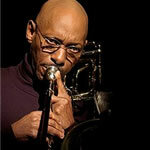 Phil Sparks has been a member of groups led by Julian Priester, Ernestine Anderson, Hadley Caliman, Matt Jorgensen, Wayne Horowitz, Floyd Standifer, Hadley Caliman, E.W. Wainwright, Jay Clayton, Jim Knapp, and Ricky Kelly. He has accompanied the following artists during Northwest engagements: Gene Harris, Roland Hanna, James Moody, Bobby Shew, Mose Allison, Art Lande, Joe Henderson, Javon Jackson, Teddy Edwards, and the Seattle Symphony. Known for his innovative spirit and broad musical scope, Thomas performs on the stages of the world's greatest jazz clubs and concert halls, as a leader and alongside the top names in jazz. The Seattle native is featured on more than 100 recordings with musicians of all genres. Since 2004, Thomas has produced nine albums as a leader for Origin Records. Three of his albums have made the top-ten on national jazz radio airplay charts, including the 2009 release "East-West Trumpet Summit," which made it all the way to number one. His albums have been featured on NPR's "Morning Edition" and have gained critical acclaim world-wide, including "Constraints and Liberations" which garnered a 4 1/2 star review in Downbeat Magazine. Chris Icasiano is quickly establishing himself as a force in Seattle's new music and avant-garge jazz scene. He performs regularly in the co-led duo Bad Luck with long-time friend and collaborator, saxophonist Neil Welch, which was recently awarded the 2009 Alternative Jazz Group of the Year by Earshot Jazz. Bad Luck's self-titled debut album was received with much critical acclaim and has been described as, "...one of the finest Seattle Jazz recordings in years - fresh, assured, mature way beyond it's players' ages." (Peter Monaghan, Earshot Jazz). Icasiano is also a member of the progressive avant-jazz group Speak, which features many of Seattle's most forward-looking, innovative, and creative musicians, focusing predominantly on original composition and collective improvisation. Speak's debut record is slated for release in April 2010 by Origin Records in time for their appearance at the Saalfelden Jazz Festival in Austria this Summer. 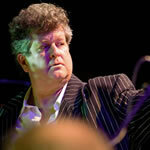 "John Stowell plays jazz, but he doesn't use any of the cliches; he has an incredible originality. John is a master creator." 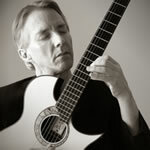 John Stowell began his successful career with guitar lessons in his native Connecticut from guitarist Linc Chamberlind, and from John Mehegan, pianist and respected jazz educator at the Juilliard School of Music and Yale University. 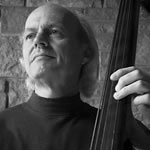 Several years later he met noted bassist David Friesen in NYC and launched a critically acclaimed touring and recording association that lasted 7 years, included 6 albums, and performances in Europe, Canada, USA and Australia. During that time, John also moved to Oregon. Paul Horn, John, David Friesen and Robin Horn were invited to perform in the Soviet Union. It was the first time in 40 years that American jazz musicians had been invited to play public performances in Russia, paving the way for many others to follow. 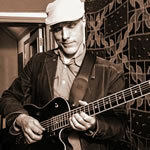 John Stowell is an in-demand teacher and clinician of jazz guitar. He has taught at the country's most prestigious schools of music, and frequently is invited to present "Artist in Residence" series. 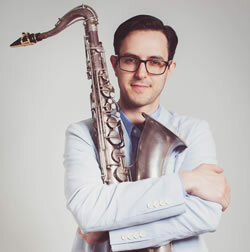 A Seattle-area native, Peter Daniel is a quickly-rising, contemporary saxophonist & accomplished improviser. His experience and professionalism have made him a first-call for area bands, and his quartet is becoming one of the Northwest's go-to groups for clubs and festivals. Peter's group performs an exciting mix of standards and originals. 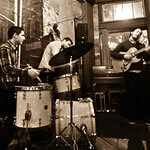 Guitarist Cole Schuster, bassist Greg Feingold, and drummer Max Holmberg met during their time at Berklee College of Music in Boston. The trio has since taken up residence in Seattle. 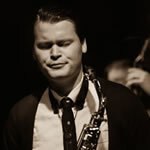 Levi Gillis is a Seattle based saxophonist and improviser, and a graduate of UW Jazz Studies program. Since moving to Seattle in 2009, Levi has studied and performed with Michael Brockman, Cuong Vu, Ted Poor, Ralph Alessi, Tim Berne and Wayne Horvitz among others. An active member in the Seattle improvised music community, Levi leads the groups Sequoia Ensemble and Bed & Breakfast, performs with The Sky is a Suitcase and Ivan Arteaga's Neijing Ensemble, and is a member of the up-and-coming Seattle soul outfit, The Dip. 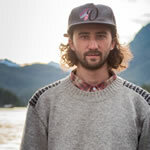 As a freelance saxophonist and leader, Levi has performed in a variety of styles, from jazz to electro-pop to avant-garde to soul, in many festivals and venues such as Sasquatch Music Festival, the Improvised Music Project Festival, the Earshot Jazz Festival and MusicFest NW. Levi is also a regular participant and past curator of the Racer Sessions, a weekly session dedicated to new, experimental music. Catch the 45th Street Band as they make their way through the streets of downtown Ballard performing their original music and leading Jazz Walk crowds from venue to venue. 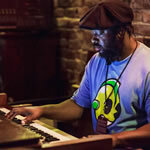 Seattle born Organist Delvon Lamarr has been a staple in the Seattle music scene for almost two decades. This self taught multi instrumentalist has a true vintage super soulful style that pulls any listeners to his dimension. Also hailing from Seattle is guitarist Jimmy James. His vintage sound & style is filled with such high energy that anyone who crosses his path of pure musical genius is nothing short of amazed. And all the way from Jersey, laying down the grooves is master drummer David McGraw. Also know as "The man with the deep pockets". 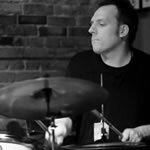 He has been an essential part of the Seattle music scene and has quickly established himself as one of the funkiest drummers around. Between these truly amazing artist, DLO3 rocks the house everywhere they go. Leaving the audience in ahhh and craving more. Featuring music from the group’s latest Origin release, “Little Played Little Bird,” drummer Todd Bishop presents a tribute to the iconic cultural and jazz gure through the reviving of Coleman’s music that has rarely been heard outside of the original recordings from the early ‘60s. A pivotal work for Bishop, he’s toured Europe twice with the CD and has just recorded his newest project for release in July. For Seattle-based drummer/composer Phil Parisot, playing music is about coming home. With Lingo, his new CD on OA2 Records, he introduces a new quartet comprised of musicians he's known for 20 years. The result is a dark and atmospheric sound that draws upon an array of influences, including Afro-Cuban, fusion, and symphonic, all molded seamlessly into a cohesive modern jazz package. Well traveled geographically and musically, keyboardist and composer Clay Giberson's artistic talent and musicianship are coming to the forefront, A Southwest Washington native, he studied at the University of Miami and New York University where he studied with Jim McNeely, Fred Hersch and Vince Maggio. Clay has released six recordings on Origin Records, the most-recent entitled Pastures which features Donny McCaslin, Drew Gress and Matt Wilson. 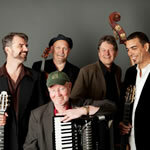 In addition, his group Upper Left Trio has released four critically acclaimed CDs. He has performed throughout Europe, Scandinavia, the Mediterranean, the South Pacific and Caribbean and Japan. Chuck's latest solo release on Origin records, "Transparence"(released 2011) demonstrates his performing, producing and arranging abilities with a host of great musicians. He is currently a member of the Deardorf/Peterson Group (whose 2004 Origin release "Portal" won critical acclaim), the Jovino Santos Neto Quartet, the Susan Pascal Quartet along with the Bill Ramsay Big Band. An accomplished studio musician, Chuck's bass has been heard on many first run movie soundtracks, dozens of albums and CD projects, and numerous Broadway touring shows. Chuck also has performed on numerous occasions with the Seattle Symphony Orchestra. Bassist and composer, Evan Flory-Barnes, is a Seattle Native, who has been composing and performing music since he attended Garfield High School. He was a member of the award winning symphony orchestra at Garfield while writing music for the hip-hop group Maroon Colony. He is purposeful in his resolve to use his music to remove the barriers imposed on music, musicians and society--no genres. His vision is to create music that reflects beauty; stirs the emotions; and, enlightens the soul. Evan's work spans the depth and breadth of the musical spectrum. His unique, creative and expert skills in his art are a natural gift and talent inherited from both sides of his family. He has been blessed to have benefitted from training and wisdom from his mentors and teachers: Marcus Tsutakawa, Barry Liebermann, Doug Miller, Marc Seales, John Clayton, Rufus Reid, Ray Brown, Francois Rabbath, John Patitucci, Jovino Santos Neto, and Hadley Caliman. Evans's own bands and orchestra: Threat of Beauty, Industrial Revelation, The Teaching, Rubato Hug, Thrown Together With Love. Evan's transcendence of genres and musical limits has allowed him to collaborate with all of these groups on compositions that augment their musical styles. His peerless performances represent his talent as a composer and artist. Evan has performed regularly with: Meklit Hadero, the Marc Seales Quintet, Jovino Santos Neto, Correo Aereo, Skerik's Bandalabra, Jason Parker Quartet, and Choklate. Evan Flory-Barnes has performed across the U.S., Canada, in Europe and Africa.